A Graveside Service for Lelon R. Schoeling age 65 of Covington will be 2:00 pm Wednesday, December 6, 2017 at the Covington Cemetery with Rev. Christopher Griffith officiating. The casket will be at St. John’s Lutheran Church from 11:30 to 1:30 before the service. Arrangements are under the direction of Ladusau-Evans Funeral Home. Lelon was born February 6, 1952 in Enid to Keith and Oletha Helberg Schoeling and passed away at his home Friday, December 1, 2017. He grew up in the Covington area where he attended and graduated from Covington-Douglas Schools in 1970. Lelon attended and graduated from Oklahoma State University in 1974 with a degree in Agriculture. He moved back to Covington - Fairmont area where he farmed all his life. He worked for Garfield County Dist. 2 as a grader operator and retired in 2016 after several years. 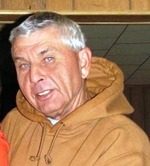 Lelon was a member of St. John’s Lutheran Church. Lelon is survived by his daughter Brooke Schoeling of Slidell, LA, son Travis Schoeling of Arizona, father Keith Schoeling of Covington, Sister Brenda Stanley and husband Farrell of Perry, OK, four grandchildren, nephew Jos Stanley of Perry, a special friend Kim Smelser of Covington, and several other family members. He was preceded in death by his mother and infant brother Roger. Condolences may be made online at www.ladusauevans.com . To send flowers to the family of Lelon Ray Schoeling (Schoeling), please visit our Heartfelt Sympathies Store.